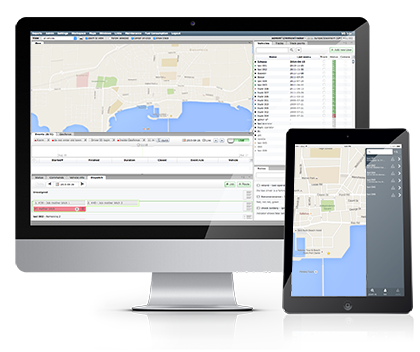 CaribTraX is a cloud-based software platform for GPS tracking and Fleet management. Its capabilities cover commercial and personal tracking. CaribTraX allows you to draw up an estimate of forthcoming roadworks using analytical algorithm and information regarding the status of the vehicle fleet. CaribTraX gives you the ability to know the exact location of your assets at any given time; offers peace of mind second to none. Our knowledgeable staff will resolve any operating problems and quickly will answer the questions regarding different aspects of working with the CaribTraX system. CaribTraX records the work of the road transport in specific operating areas. The data obtained are used for further planning of the more efficient usage of the vehicle fleet. CaribTrax gives you the ability to see exactly where vehicles went, instead of where drivers said they went, increases the ability to catch theft, in time, fuel and product. With the CaribTraX platform you can receive data from multiple sources on the vehicle including ignition, etc. CaribTraX regularly renews details regarding the status of the vehicle fleet, what allows to monitor the efficiency of using vehicles transport in real-time. CaribTraX can send alert messages via email or SMS when triggered by a GPS tracking rule. GPS tracking Rules may be based upon vehicle speed, proximity, idle time, geo-fences, and a number of other conditions. CaribTrax allows you to receive scheduled and on demand reports on the parameters you set. Where can I use the CaribTraX? There are no borders for the CaribTraX platform, that allows you to use the services of the CaribTraX worldwide. What software do I need to install the system? CaribTraX is a remote internet service that does not require installation of any additional software. The service is available and ready to use immediately after the registration. Our experts are always available and will gladly assist you at any stage in solving specific working issues. How to purchase the access to the CaribTraX system? To obtain and pay for the access to the system, you need to fill out a form which is situated on the right side. Thank you for being interested in our service. We hope for a long-term and pleasant relationship!